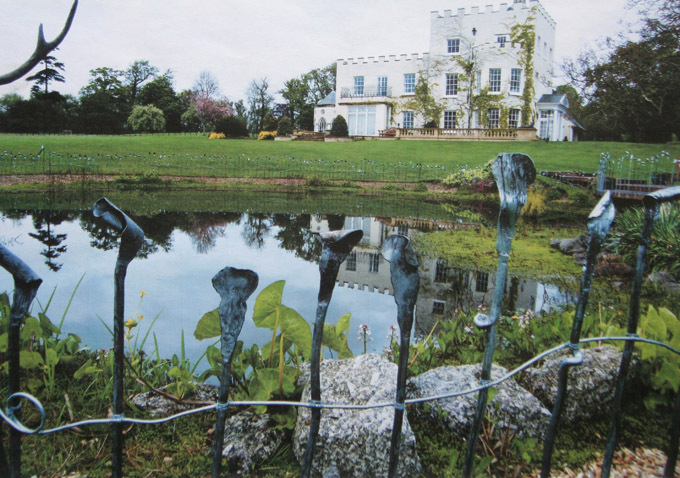 See some examples of wrought iron Fencing that we have produced for clients in the past. 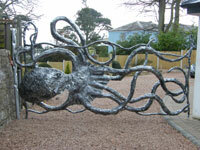 Wrought iron doesn't have to look menacing, modern techniques and processes mean that Paul Gilbert can craft you a fence which unique and attractive rather than foreboding. 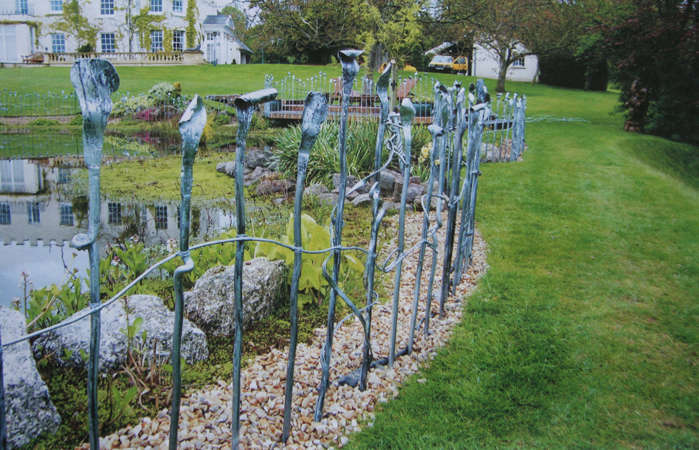 In fact a customised fence can be more than a border to your garden, it is perfect as a feature in the garden. 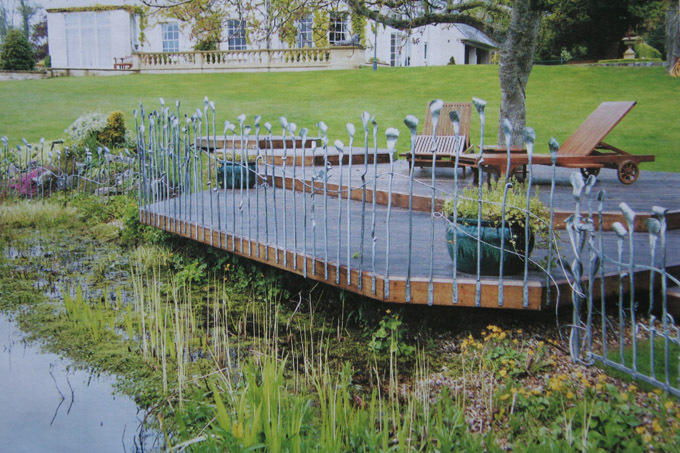 Combine form and function by having a wrought iron fence with gate as a surround to a pond or pool, giving you an attractive feature which provides a safety barrier keeping young children safe. 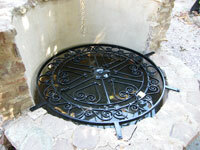 The trick with wrought iron is getting the look that you want. 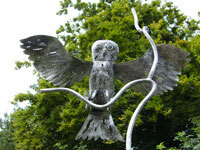 Because Paul will craft your wrought iron fence from scratch, he will work to your design and tastes. 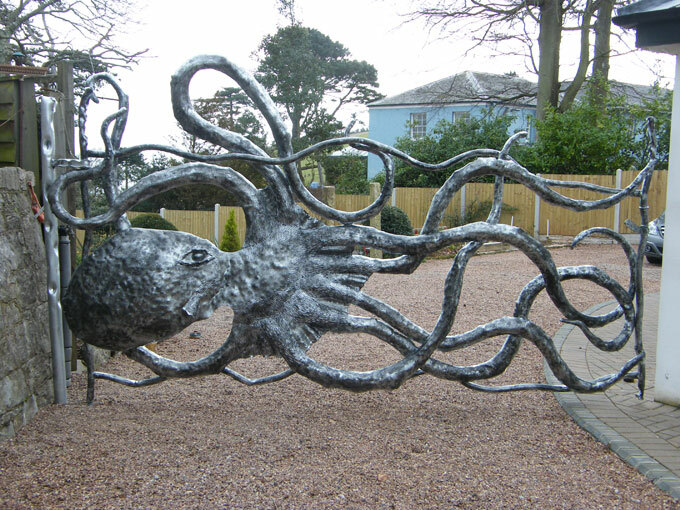 Whether you want something classic or contemporary, formal or fun, Paul's work combines the strength which has made wrought iron the material of choice for fencing for centuries with an artistic flair which makes it an attractive feature for any home.